Whether he is directing work to deliver London’s 2012 Olympic legacy, driving residential development deals or building Mace’s growing rail portfolio, director Davendra Dabasia’s strategy is clear – don’t make it too complicated. eing based in the London Legacy Development Corporation (LLDC) offices in Stratford, just off Queen Elizabeth Olympic Park, underlines the key role that Mace’s Davendra Dabasia plays as project director for the Park Legacy Team. first with the team that set the £9.2bn budget and programme and then leading delivery of key venues including the Velodrome, the Basketball Arena, and the Eton Manor complex, Davendra is clearly the go-to man when it comes to knowledge of Queen Elizabeth Olympic Park. However, this is just one of the many hats that he wears as a key part of the Mace leadership team and a business unit leader. management work for LLDC, he also runs a number of smaller housing development projects, the sports and events division and the rail business. “I do enjoy driving delivery and that is really what I have grown up with,” he explains, highlighting that from a very early age he was exposed to building projects and construction sites via his parents’ family construction business. Davendra points out that, regardless of the sector, key to his role is managing logistics and analysing the various constraints of the programme to see how to deliver the design and construction more efficiently. “It is about simplifying – in construction we can tend to make things too complicated,” he says. “I like to simplify programmes into smaller bite sized chunks. My role is to support and help the team to see things like that. “But of course my other role is to grow the business – in particular the rail business – so I spend a lot of time with clients, contractors and consultants understanding opportunities,” he adds. At just 35 years old, Davendra has packed a great deal into his career already since graduating with a building surveying degree from Westminster University and an MSc in construction economics and management from UCL. His career started on a graduate programme with Costain and he then spent four years on what he describes as his “most difficult job”, refurbishing the Royal Festival Hall in London with Bovis Lend Lease consulting. It was a great opportunity and he rose up the ranks quickly to project manager. Like many young professionals in the industry he then decided that he had to work on the London 2012 Olympic and Paralympic Games and was quickly embraced by Mace to run the Velodrome project in 2007. However at this point in the project, he explains, relationships were still forming and with the various parties trying to position themselves, there wasn’t immediately a proper role. Unprepared to “sit around” waiting for the project to get going he sought a more hands on role and created what he describes as the “watershed moment” for his career working with the senior 2012 team assembling the £9.3bn so- called “Yellow Book” baseline report to define the programme for government to support and fund. He then went on to manage the Velodrome project and several others including the Basketball Arena, and the Eton Manor complex. 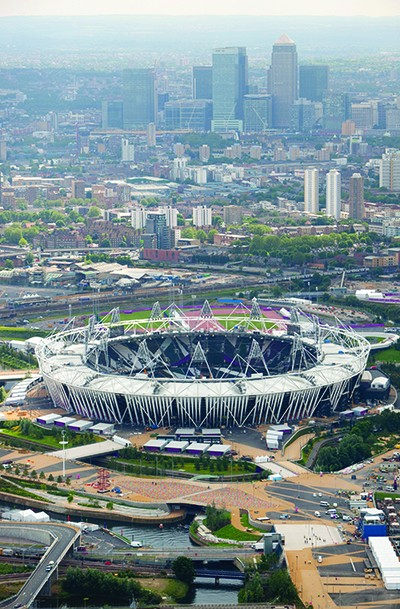 Following Mace’s successful work to help deliver the London 2012 infrastructure as part of the CLM consortium, the firm now has been given sole responsibility for the on- going programme management (with Davendra at the helm since 2013) to support London Legacy Development Company as it develops Queen Elizabeth Olympic Park. Today Davendra’s business unit is expected to turn over £8M in fees a year with a team of over 100 people spread across the Olympics work, sports facilities and the rail sector. 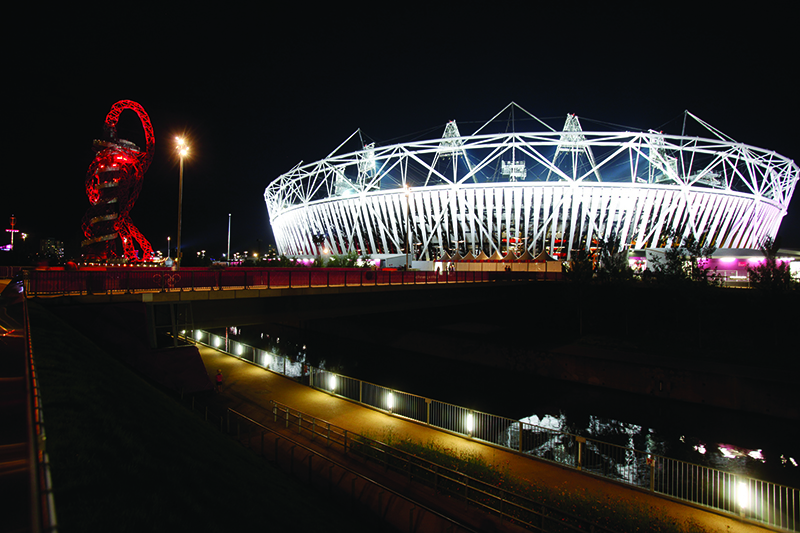 Essentially Queen Elizabeth Olympic Park work involves the conversion of the stadium into a key venue for the Rugby World Cup in October 2015, then to the new home of West Ham Football Club and the national competition centre for UK Athletics by 2016. Meanwhile construction of the so-called Olympicopolis cultural and education quarter in the park continues, along with build out of residential developments needed to support and finance the project. The Olympicopolis is the largest development on Queen Elizabeth Olympic Park and is intended to be developed as a university and cultural district – anchor tenants include UCL, the V&A, University of Arts London and Sadlers Wells – there is a housing development to help fund it and the Smithsonian is currently working on plans to open its first permanent space outside the US as part of this exciting development. 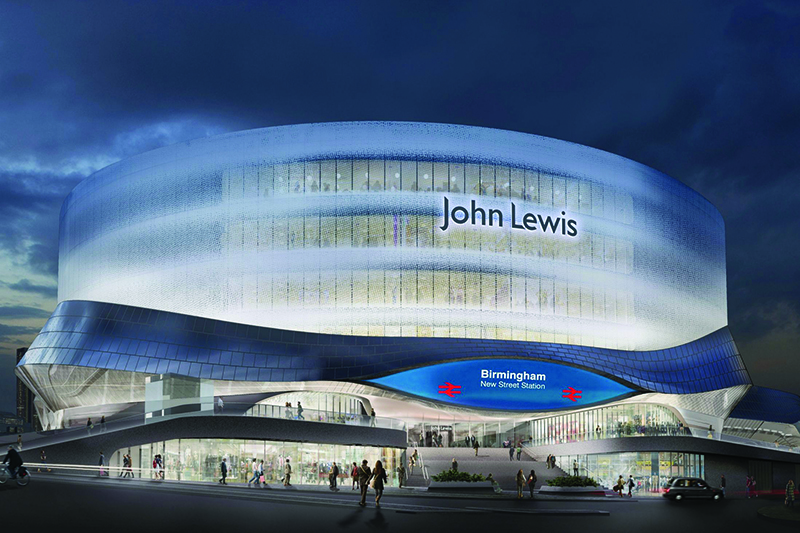 But it is in the rail business that Davendra sees the greatest challenge and scope for growth based on the successful work already underway for Network Rail redeveloping Birmingham New Street Station and the Great Western Electrification programme plus work on the Joint Delivery Partnership with London Underground. “Last year I started to get involved in the Joint Delivery Partnership and my instruction since has been to see how we can grow this business,” he explains. Achieving Mace’s stated aim of developing the business to a £2bn turnover in the next five years is important he says but more important is getting the right people on board to sustain that growth and increase the margins. That means bringing in new skills at graduate level but also developing existing staff and turning assistant project managers into effective project managers. The business, he says, needs a range of skills, some technical and some not so. The key, Davendra says, is having the skills, knowledge and experience in the team to be able to make the right decisions based on the information available. “Success for me on the Queen Elizabeth Olympic Park is to work in partnership with London Legacy Development Corporation to assist them in delivering the Olympicopolis projects,” he says. “In 2020 Mace will have been associated with the Queen Elizabeth Olympic Park for 15 years having helped contribute to its very important legacy and been part of such an incredible achievement. For the rail business it is about bringing that name and legacy into this sector.